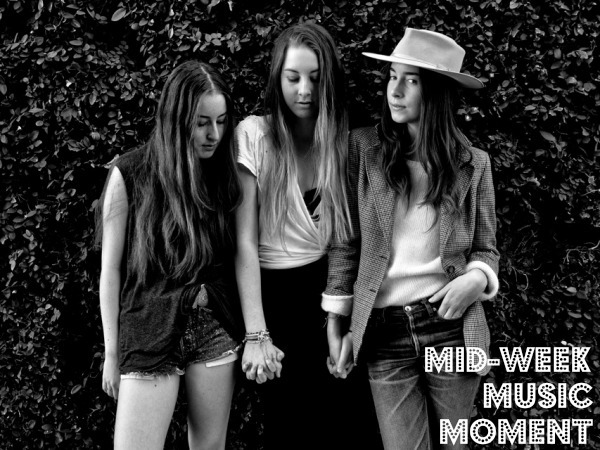 If you were to imagine what music created by three sisters in their 20s raised on 1970s rock in the San Fernando Valley would sound like - you'd probably dream up something like Haim. Mix in some R&B and electro influences by way of Jessie Ware, Destiny's Child and even Kendrick Lamar (according to their Wikipedia page), and you've got it exactly. You can see where music critics draw vocal comparisons to Fleetwood Mac (and especially Stevie Nicks), right? With strong voices and a great dance beat - this one makes for perfect pre-party pump-up sing-a-longs. The best part? Haim will be at Governor's Ball 2013 - to which I bought a 3-day pass. It's not until June, but I'm already incredibly excited (and working on an expansive playlist in anticipation). PS: If you have time, you must watch the music video. It's got great (very 1990s) style, strong allusions to Britney Spears' "Hit Me Baby One More Time" video and a great sense of humor.